Collectibles. Fellow German co-blogger Pasco commented recently that collectibles are one of the characteristics of modern games. Also, the always superb Experience Points Podcast discussed collectibles as part of their “In Search of Secrets” Episode. Finally, being an achievement whore myself, collectibles are something I deal with on a regular basis. More than enough reasons to take a closer look at them. And in fact, for such a seemingly simple gameplay element there are quite a few variations on how they can be implemented. So many that I have been struggling to write a definite review. Instead, I decided to start yet another category of posts: the Collectibles Reviews. I will do separate reviews of implementations of collectibles in different games and hopefully, after some time, we will start seeing patterns of what works and why. Mars. You will never find a more deceitful hive of collectibles and hidden doodads. We must be cautious. 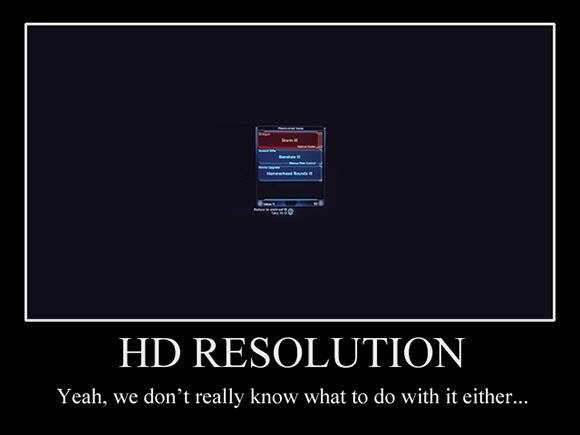 I’d like to start with Red Faction: Guerrilla. For once because it is the game I’m currently playing and as I mentioned in the podcast, a surprisingly decent game. But also because it is a game that has A LOT of collectibles. And here is yet another AMAZING podcast episode. We thought it was shorter, but it isn’t really. However, we do cover more topics in the same ammount of time. Among this show’s topics: Yu-Chung talks about his new game – Harvest Mania (and also demonstates his ignorance of such super-important things like RickRolling). This time we gather to share with you 3 exiting pieces of news with you. All three are about or current game projects. We kick it off with some talk about games like Street Fighter which become a recurring theme of this episode. Judging by my recent posts on Mass Effect one might come to the conclusion I was a Fallout 3 fan. Both games are often compared when discussing modern western RPGs. I think their relationship is quite complimentary. The one has strengths where the other has weaknesses. Nevertheless, I indeed think that Fallout 3 offers a more complete, insightful and better crafted experience. -1 Endurance due to minor radiation poisoning. No word about the adverse effects of not eating or sleeping for weeks. But that doesn’t mean it is without flaws. This time around I would address a particular, not quite obvious problem. 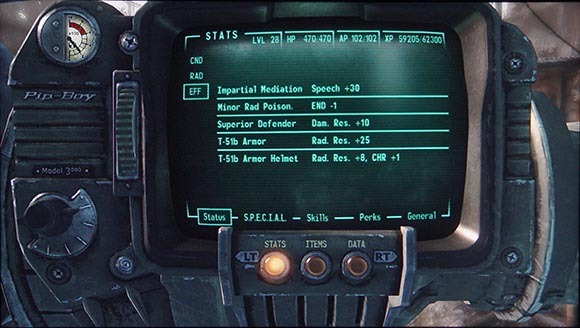 It is a hereditary disorder – a feature that Fallout 3 inherited from previous RPGs but one that turns out to have devastating effects in the specific environment of Fallout 3. I’m speaking of the fact that like in many RPGs, the mere survival of your character in the wilderness is taken for granted. We still haven’t established a real posting pattern. So surprisingly, here is yet another exciting Game Design Reviews Podcast Show episode. Join us on this episode as we geek out about the advantages and troubles of HD Gaming. We discuss our gaming setups and the experience we had putting them together. We also discuss quality issues and the style of the HD games. 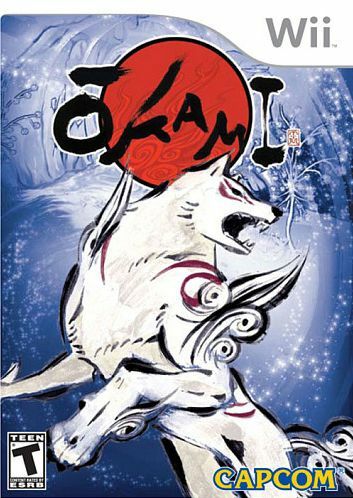 This is my (very) subjective review of Okami. To summarize it: I can’t play the game. It’s unbelievably unplayable for me, due to shockingly bad details. Ever since it was released on PS2 and got rave reviews about its style and concept I wanted to play, even own it. Then Yu-Chung reviewed it and even mentioned that a Wii version would be released. Over one year ago I purchased the Wii version but haven’t played it until now, due to the lack of time and my backlog. Last evening I could play it at last. Great box design, i really love it. But boy, was I shocked about how bad some simple aspects of the game turned out. They made me end my playing session after approximately 30 minutes of (play)time. 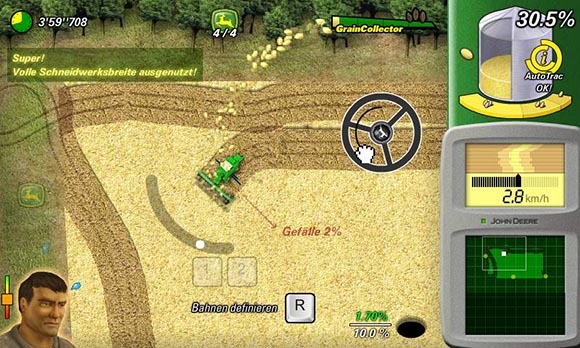 Welcome to the third and last part of the Massive Interface Fail Trilogy. 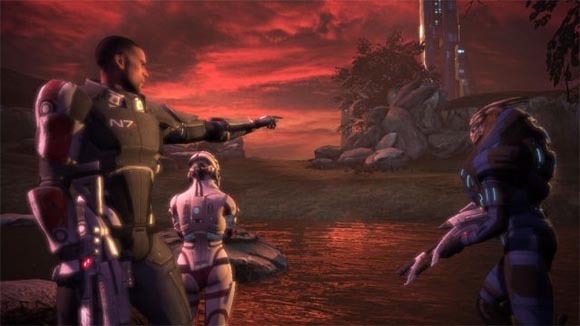 In this series of articles I’m discussing the manifold interface design shortcomings in BioWare’s Next-Gen RPG Sci-Fi blockbuster Mass Effect. - “Ok, Artoo. Now zoom out. NO! 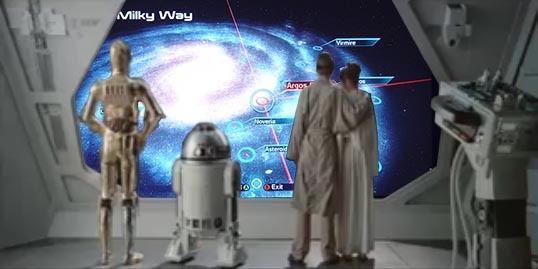 Don’t close the galaxy map! 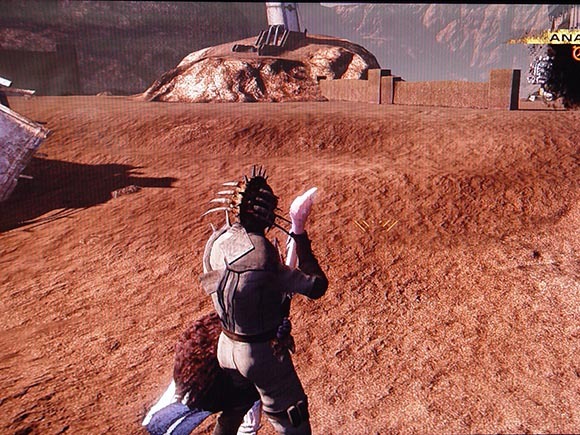 Goddamn Artoo, if I only had a healthy hand, I’d smack you! As previously stated, almost EVERY screen in Mass Effect contains at least one major interface design flaw. In previous parts (Part I here and part II here) we already discussed many parts of the interface – from extremely common screens such as the HUD to more obscure but not better-designed parts like the “Recovered Items” menu. This time, I would like to address the remaining parts of the interface. They are remarkable because they include what seems like the most commonly praised parts of the interface. 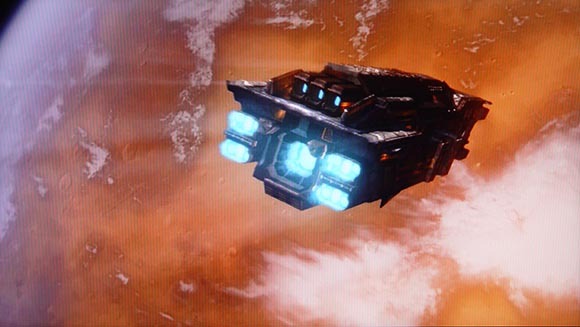 In reviews of Mass Effect it is often the galaxy map and the conversation menu which receive some favorable mentions. While I do understand why, that doesn’t mean they are well-executed from the standpoint of interface design – sadly. So let us finish this epic saga by taking a closer look at those audience favorites. Welcome to the second chapter of the Massive Interface Fail Trilogy. In this series of articles I’m discussing the manifold interface design shortcomings in BioWare’s Next-Gen RPG Sci-Fi blockbuster Mass Effect. Ok, I admit I haxxored this one to drive the point home. But from here on only genuine screenshots, honestly. As previously stated, almost EVERY screen in Mass Effect contains at least one major interface design flaw. In the fist chapter we discussed the first superficial parts of the interface such as character generation and the in-game HUD. We also briefly dipped into the more hard-core parts of the interface by taking a look at the character management screen. Today, we shall tackle all the parts of the interface that deal with items, because it’s exactly here where the Mass Effect team made their most severe mistakes. We are currently trying to establish a regular podcasting pattern. Or goal so far was 2 weeks but since it’s the first podcast we do, there might be delays. Like this time. But anyway, here is another exciting episode.